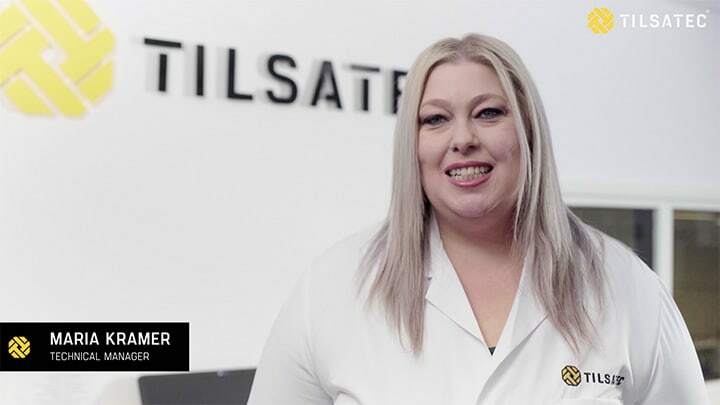 The Tilsatec laboratory is a purpose built facility with state of the art testing equipment. As manufacturers of safety wear we have a responsibility to ensure every product we make uses the highest quality materials is tested rigorously and performs to the standards required by our customers. Established in early 2018 as part of the company’s wider expansion plans, it has now achieved UKAS accreditation to ISO 17025. 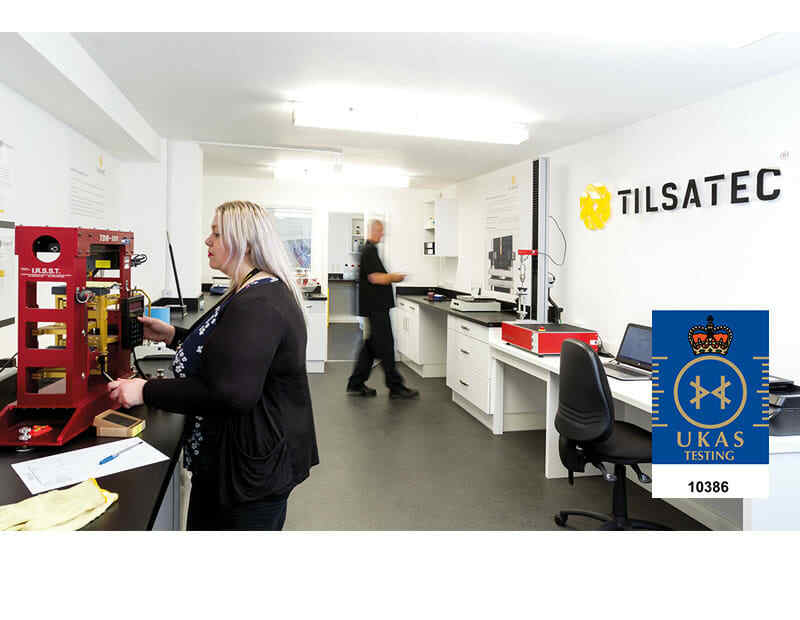 Achieving UKAS accreditation demonstrates the Tilsatec laboratory’s competence, accuracy and impartiality to perform reliable testing as well as carry out ongoing due diligence testing and certification monitoring. You can view the list of tests accredited in the Schedule of Accreditation. As cut resistant specialists our range of hand and arm protection solutions are manufactured using our own Rhino Yarn™ technology, which is produced on site in the UK. 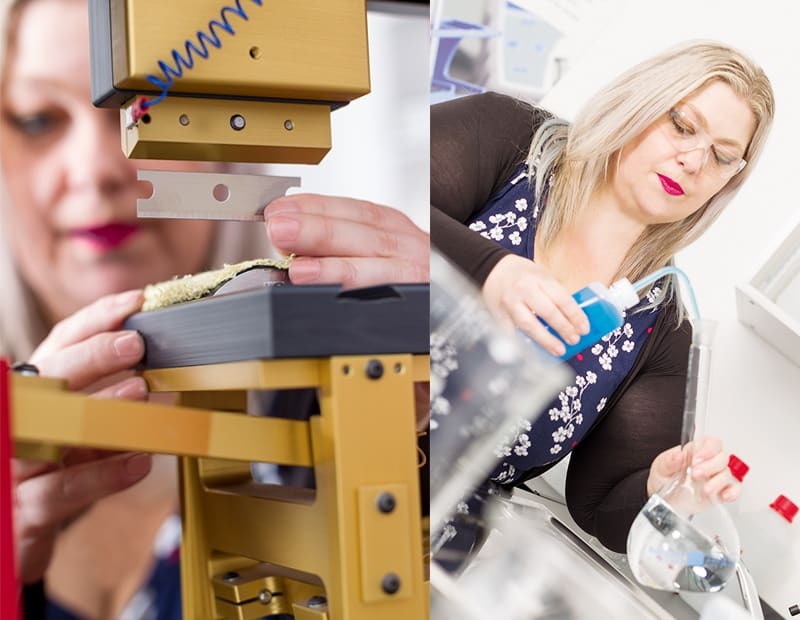 The addition of a dedicated in-house product testing facility enables us to conduct comprehensive mechanical testing on yarn and fabrics at the R&D stage for new product development, through to continuous due-diligence testing on finished products. With extensive experience in this arena our Laboratory Manager was able to design the lab to exacting industry standard, conditioning requirements. This investment in our own testing facility, which includes being one of only a few manufacturers in Europe to have a TDM-1oo machine, enables us to closely monitor quality control in our raw materials and ensure all performance attributes are delivered in the final item of PPE. Moreover, it will be used to manage the CE certification process ensuring all products are compliant, with ongoing monitoring and assessment. The scope of test methods we are able to conduct will continue to expand as EN standards and test methods are updated. We are also developing innovative in-house test methods to closer replicate real working conditions and hazards, gaining greater insights for customers into how products perform under certain conditions. Find out more about the full range of testing currently performed here. ©2019 tilsatec. Website by Parallax.